Have you ever wondered why women suffer more foot related issues? ‘Walking’ we all take it for granted as a ‘simple – no big deal’. However, it’s a complex process, it involves your body from head to toes, including several parts of your brain. 1 in 3 women over the age of 65 has foot aches & pain or foot complications & minor to severe deformities. What triggers the most common foot problems? Ill fitting footwear (flats, high heels, tight fitting), that cramp the forefoot and pose risks for arch and ankle problems. What are the most common foot problems in women? It’s a deformity of the ball of the foot, affecting 1st metarsalgia and the great (big) toe. Tight shoes (those that compress the toes) typically rub against this bony protuberance causing other issues such as calluses and skin irritation. 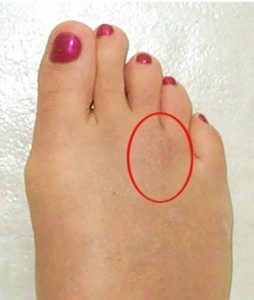 Bunions are often a hereditary trait commonly seen among family members. 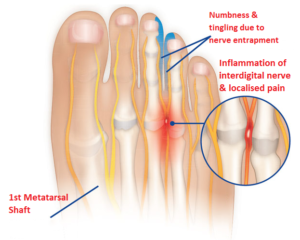 Refers to the tissues around the nerve lead to a toe thickens from irritation or cmpression. 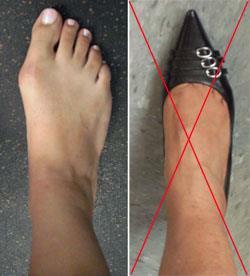 Tight or tapered toe-box, high heel footwear are the cultript to cause morton’s neuromas. Hurts most in the morning when stepping on feet. Is treated by plantar foot stretches. Faulty foot structure is the most common cause of plantar fasciitis, in women, it may result from wearing nonsupportive shoes, such as flip-flops and ballet flats. While anyone can sprain an ankle, women are especially vulnerable to this injury when wearing high-heeled shoes (especially on slippery surfaces), platform-soled shoes or other improper footwear. Many times foot specialists recommend surgery on your shoes instead of your feet! Your two feet are very critical to your body’s health and ability to walk and run. Delayed treatment of many of foot pain can lead to complications, chronic long-term pain, disability, and arthritis of the affected foot. The solution, says experts, isn’t to stop being active, but to be more proactive about foot pain when it occurs. PreviousPrevious post:Missing carbs on keto? Here’s a quick bread recipe!NextNext post:What is Diabetes Distress? I Am Flat Footed, Should I Worry About It?